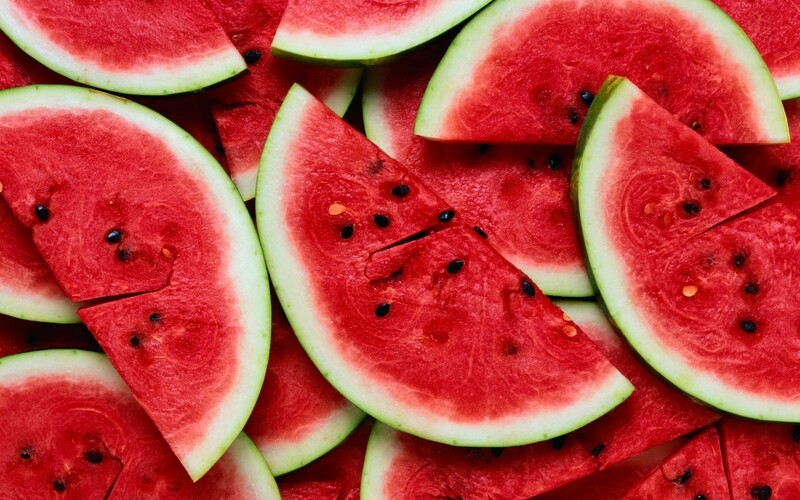 Summer is in full swing and that means picnics, BBQs, and WATERMELON! Sweet, refreshing, delicious watermelon. Seeing as how this is a blog about water, it’s safe to say that watermelon is certainly our favorite fruit. Finding the perfect watermelon can sometimes be challenging, so much pressure to get the best one possible, right? Well, here are three steps to help you pick just the right one. 1. LOOK – A ripe watermelon should be dark green. It should be firm to the touch, symmetrical, and no major bruises or scars. Some minor scratches are okay, but no deep or severe scratches. Keep in mind that the purpose of the rind is to protect the deliciousness inside. 2. LIFT – The riper the watermelon, the more water it should have. As watermelons are 92 percent water, your watermelon should be relatively heavy in proportion its size. 3. TURN – The bottom of your watermelon should have a creamy yellow spot (also called “the ground spot” — this name comes from where the watermelon sat on the ground while it grew into the great watermelon it is). If this spot is white or greenish, it’s possible that it might have been picked prematurely and might not be the ripest possible melon. These tips come to you from www.WhatAboutWatermelon.com. Please visit their site for all the information you could imagine about everything watermelon! What is a water filter?